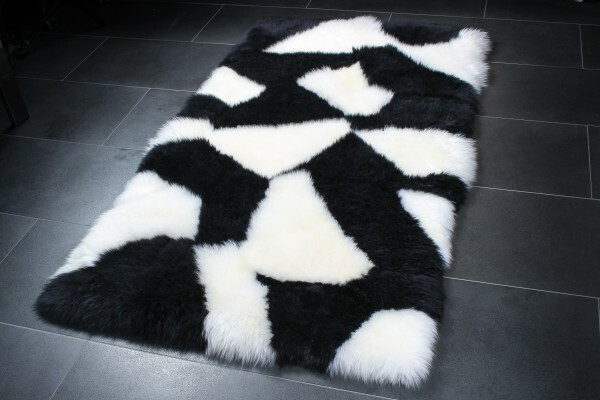 Beautiful sheepskin rug in black & white. Convince yourself of its elegance and presence in your living area. Whether in the living room, bedroom or the kitchen, the carpet adapts to all furnishing styles. The sheepskins are from Australia, and they have full and very soft hair. Our master furriers used a patchwork arrangement for a modern look. The sheepskin rug has a natural leather back with non-slip surface properties. 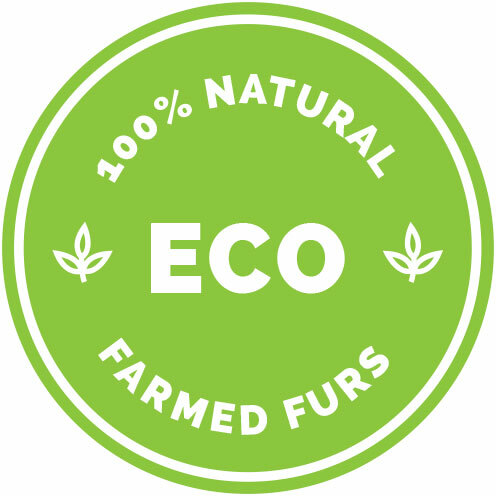 This fur rug is 100% handmade by our master furriers in our workshop in Kiel. Related links to "Sheepskin Rug in Black & White"
Customer reviews for "Sheepskin Rug in Black & White"
Russian Sable Fur Blanket "Titanio"
Blue Fox Real Fur Carpet "Natural Shape"
Kolinsky Fur Throw "Siberian Weasel"